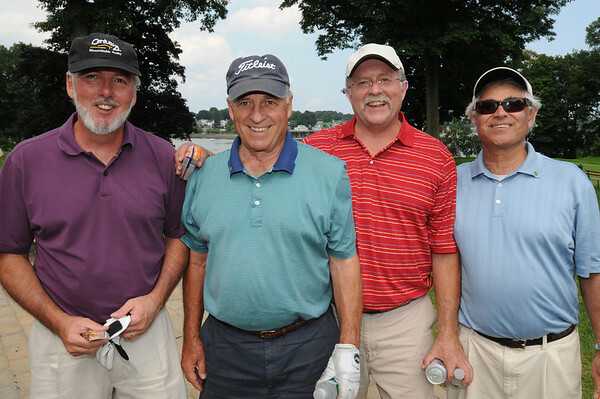 From left, Allan Huntley, Bob Carlin, Bill Knarr, Renato Mastrogiovanni, all with R.E. Moulton, near the 8th tee at the the Fourth Annual Rey Moulton Memorial Golf Tournament, sponsored by the Marblehead Chamber of Commerce at Kernwood Country Club. Photo by Ken Yuszkus/Salem News, Monday, August 3, 2009.